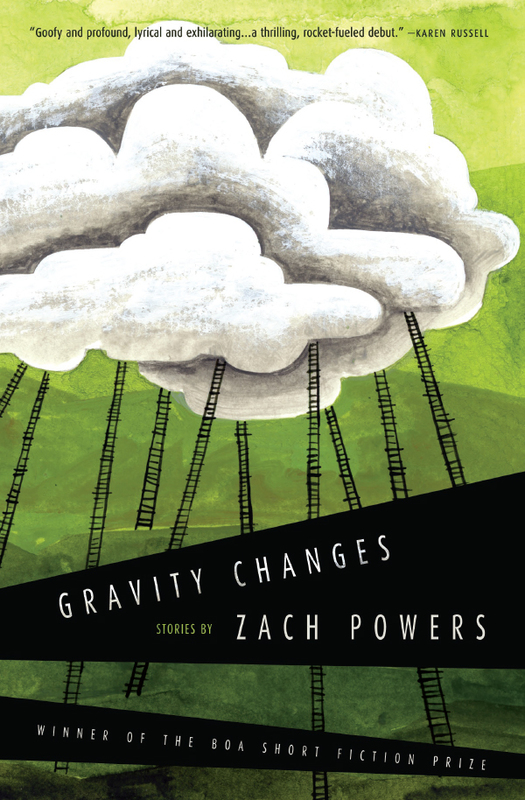 Gravity Changes, winner of the BOA Short Fiction Prize, is a collection of fantastical, off-beat stories that view the quotidian world through the lens of the absurd. Set in a surreal, fictional world that is populated by strange, fascinating characters—children who defy gravity, a man who marries a lightbulb, the Devil and his ex-wife—these stories take wide steps outside of reality, finding new ways to illuminate truth. "A wonderfully vertiginous, through-the-looking-glass story collection, packed with Powers' one of a kind humor and insight. With his extraordinary imagination and vitalizing prose, Powers can make anything live, and does. He is fluently conversant with the Devil, the dead, children, animals, astronauts, and newlyweds--and this is just a partial roster of the wild crew aboard this ship. Goofy and profound, lyrical and exhilarating, Gravity Changes is a thrilling, rocket-fueled debut." "Flying children, lovely light bulbs, and unusually expressive faces are just some of the wonders that populate the world of Powers’s debut short story collection. . . . If some of the stories require a second reading, it's not because Powers strays too far down the rabbit hole but because they're too provocative to release their hold on the reader all at once. And if any of the glimpses into this world, a place wholly different and yet somehow recognizable as our own, are too peculiar to evoke their roots in truth, the next one is never too far away. A fanciful take on life, love, tragedy, and human connection that draws its strength from insight instead of artifice." "Here is a collection for those in love with language, in love with wonder, and in love with the transformative power of storytelling. These stories will make you laugh and cry and wonder how exactly Zach Powers does it. Powers is brilliant, an ecstatic and exciting new voice." "Gravity Changes is an unceasingly inventive and sharply observed collection of short stories. In it, Powers paints a quirky, skewed world, but one that's wholly recognizable. Readers will encounter characters who defy gravity, lightbulbs incarnate, portals to other dimensions, and co-workers who read messages of guilt etched on one another's foreheads. The collection is darkly comic, and sometimes otherworldly, but always perceptive, exploring a landscape of human emotions: loss, longing, loneliness, and nostalgia. Fantastical and hilarious, profound and melancholy, Gravity Changes is a force of nature, and Zach Powers is a major talent to watch."